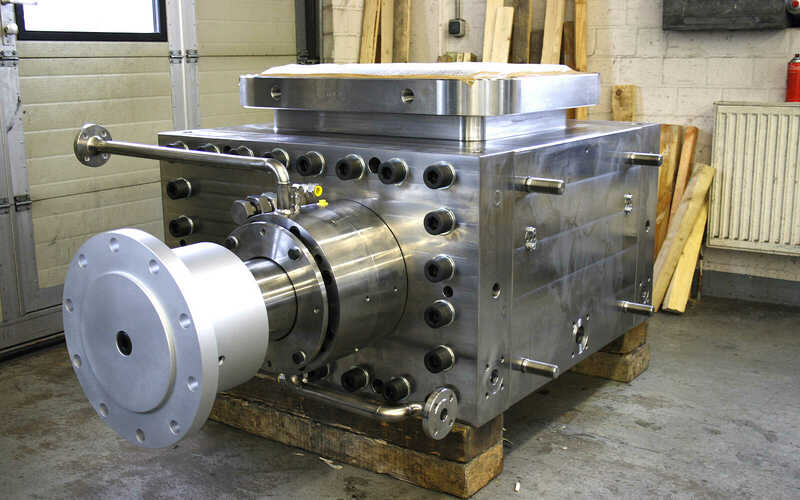 Gear pumps for the discharge of highly viscous media from melt reactors. 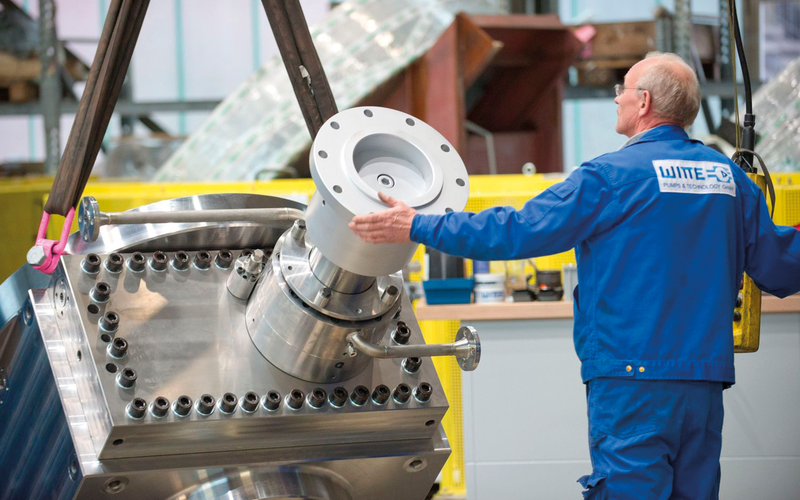 Reliable and robust pumps are needed to empty reactors and containers particularly during the polymerization process. The pumps transport the melt throughout the process. The highly viscous material must be transported from a reactor under vacuum. Discharge pumps from the POLY series from WITTE are specifically created for this task. The customer can choose between a standard design or an individual design according to their requirements. These pumps achieve the best efficiency through optimized shaft and bearing geometry. The need for energy is kept low allowing the operating costs to be optimized. The POLY is offered in different variations. Versions with classic or shortened inlet geometries are just as possible as versions in the LowNPSH Design. 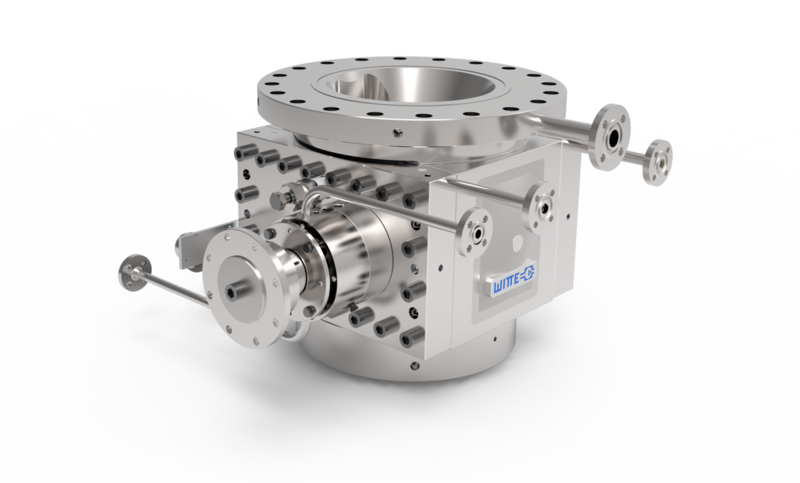 Pumps with shortened inlets guarantee the quick feed of melt to the gear pumps. 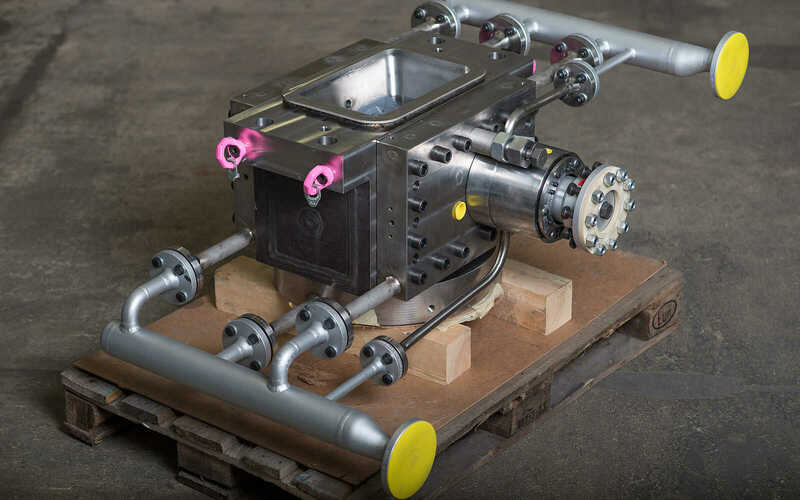 All POLY discharge pumps have the largest possible inlet openings with optimized flow geometry to avoid increased friction, decelerated inlet of the medium into the pumps as well as to reduce additional heat input. Different material combinations make these pumps reliable partners in the polymer industry, which can also be operated reliably under the most extreme of conditions. Different seal variations for the secure and non-leaking operation of the pump, and also for difficult applications, conditions and processes. We can offer the housing from the POLY series in different variations specific to your application. 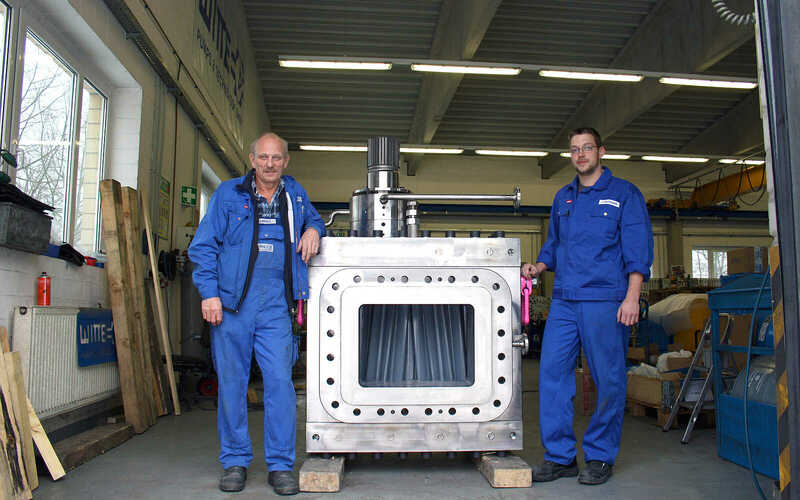 The flange can be round or square, long or short, horizontal or vertical, screwed or clamped, to ensure the best possible connection to the reactor.. The POLY is extremely flexible and can be used for different areas of application. All components such as seals, housings and endplates are tempered separately. The lubricant flow can be changed through a setting screw. Depending on the medium, process or viscosity, the seal from the pump is regulated through the threaded shaft seal. The customer is therefore flexible and can quickly react to changes as needed. Values with up to 250 bar are maximum values and must not occur at the same time. From 4.7-22-22 (4.7 ccm/rev – 10 kg/h) to 12,000-280-280 (12,000 ccm/rev – 30,000 kg/h). Sizes with wider gear pumps for lower differential pressures are available by default, for example, 3,170-152-254 (3,170 ccm/rev).